The NHLPA has released over 200 game-worn jerseys from All-Star Games, Winter Classics, Olympics & World Cup available online in support of SickKids Hospital. TORONTO (Sept. 1, 2016) - More than 200 game-worn jerseys have been released from the National Hockey League Players’ Association’s (NHLPA) jersey vault to be auctioned off in support of The Hospital for Sick Children (SickKids). This online auction, which is live and accessible, is being hosted by Classic Auctions and is the first of its kind in Canada, releasing never-before available jerseys to hockey enthusiasts and collectors alike, all in support of children’s health. These 200 jerseys span more than 20 years, from NHL All-Star Games of the late 1990s, through past World Cup of Hockey and Olympic tournaments, and several outdoor stadium games. With the World Cup of Hockey around the corner, hot ticket items include Olympic and 2004 World Cup of Hockey jerseys worn by stars such as Jaromir Jagr, Teemu Selanne, Patrick Kane, Peter Forsberg, and Jonathan Toews. All-Star Game and Winter Classic jerseys include those worn by Sidney Crosby, Mark Messier, Henrik Lundqvist and many more. Each jersey comes with a unique Certificate of Authenticity from the NHLPA. 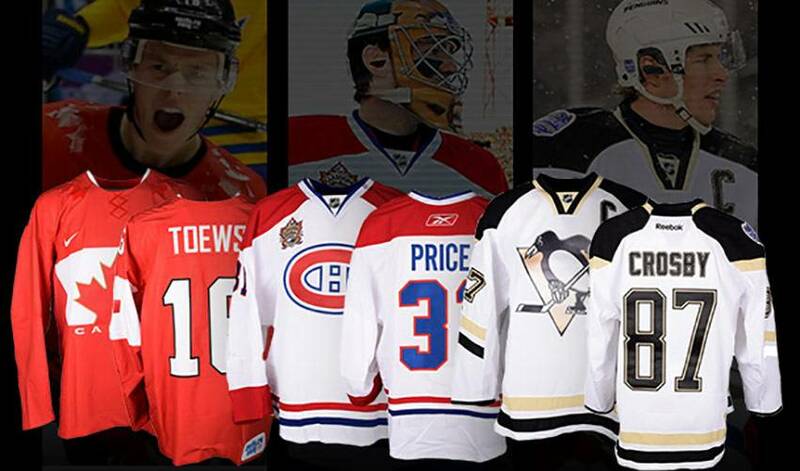 To browse the collection of jerseys available for sale and to place bids on auction items in support of SickKids, visit: www.classicauctions.net. SickKids is Canada’s leading hospital and research centre dedicated to improving children’s health and is home to Canada’s largest hospital-based child health research institute. With more than 10,000 staff, researchers and volunteers, SickKids cares for more than 100,000 patients who come from coast to coast each year. Our researchers continue to make ground-breaking discoveries that lead to recoveries for children in Canada and around the world. We train health-care experts who treat children in every province and territory, and share our expertise globally. Funds raised through this auction support the highest priority needs fund at SickKids, the most flexible source of funding for the hospital with the greatest potential to transform children’s health. Support from the community through events like the NHLPA Jersey Auction is essential to provide the best in family-centred, compassionate care, to lead in scientific and clinical advancement, and to prepare the next generation of leaders in child health.